CNN is a leader in cable news, and across multiple platforms, it maintains a strong digital presence as well. Its latest venture lies somewhere between those two media. The Turner-owned broadcaster has announced original programming on its CNNgo app, starting with a six-part tech documentary series called Mostly Human. 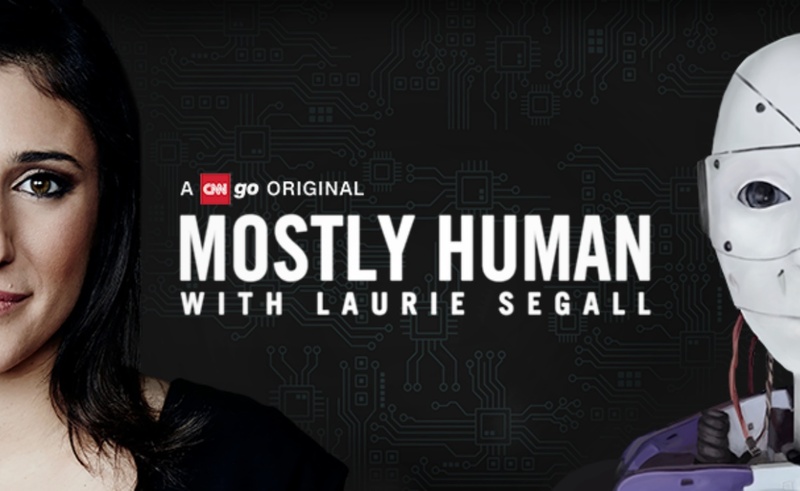 Mostly Human, hosted by CNN’s Laurie Segall, will explore how tech has influenced modern culture by looking at profound case studies. In one episode, for example, viewers will learn how a woman used artificial intelligence to create a robot that mimicked her deceased friend. Another installment will detail relationships between humans and AIs, a la the movie Her. CNN has funded original programs before. In particular, it has leveraged Great Big Story to launch visually-compelling video pieces across social media. What makes the new wave of originals intriguing is its home platform. CNNgo is best known as a digital TV app that lets users watch CNN TV content by entering their cable credentials. Mostly Human will next next to those TV shows and will have a TV-length runtime, but it will be available for free to viewers who don’t have a cable login. I personally can’t recall any other show distributed through a TV network’s app but not on its linear channel or its YouTube, Facebook, or Snapchat channels. Will Mostly Human find an audience despite its unique distribution platform? We’ll learn once it arrives in full on March 12th.